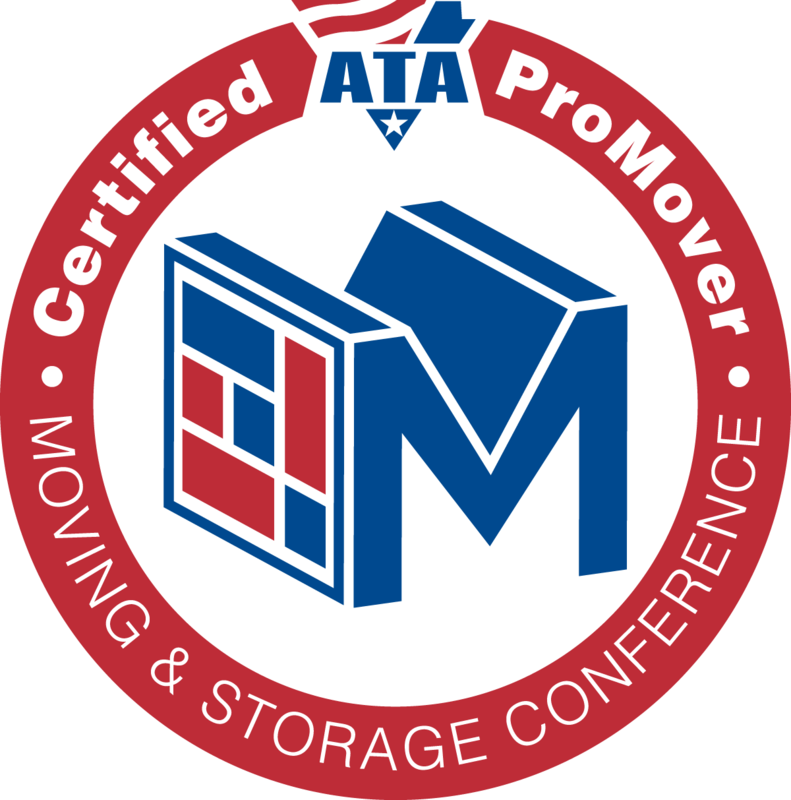 An Atlas Agent specializing in Residential Moving, Business & Commercial Relocation and Secure Storage Options in Cody, WY and the Big Horn Basin of northwestern Wyoming. CALL US TODAY AT 307-587-3500! Get the latest info and updates! Serving Wyoming since 1970! 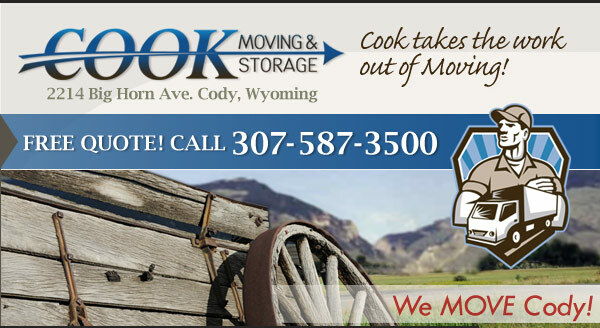 Cook Moving & Storage is located in northwestern Wyoming in historic Cody, Wyoming near Yellowstone Park. 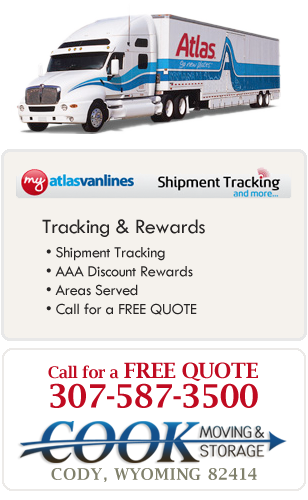 Get your FREE QUOTE and you'll be on your way to letting the pros of Atlas take the stress out of your move. See how easy it is. CONTACT COOK MOVING & STORAGE! Get the care and consideration you expect during your move. We want to earn the right to be your moving company! We make it our business to know the ins and outs of corporate relocation with full-service departure and destination services. Need safe & secure storage in Cody? We've got it! Cook has self storage units from small to large plus warehouse storage. Learn how to move better with Atlas! Our moving guide is filled with useful moving tips that explain how to move just about anything. Atlas Van Lines, Inc./ U.S. DOT 714051 / TM & © 2018 AWGI LLC.